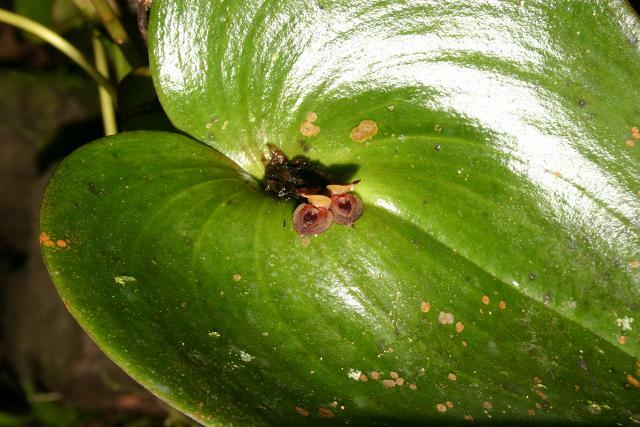 Pleurothallis sp. Photo courtesy of Patricia Harding. Blooms on a short, apical, fasiculate, few flowered inflorescence that holds the successive opening flowers close to the leaf base.